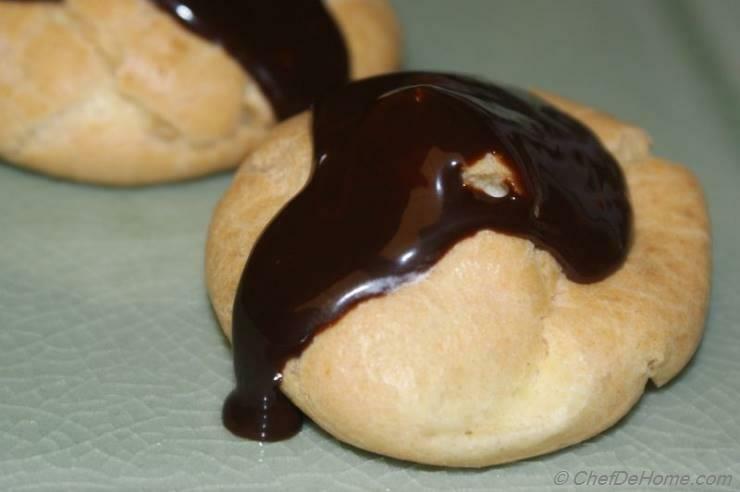 Growing up, I had lots of Cream Puffs and Cream Cannolies and always wondered, how do they make these soft cream pillows which melt in mouth? 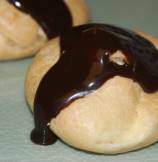 Once I started cooking and learning new cooking methods and techniques, these Cream Puffs were in my top list. 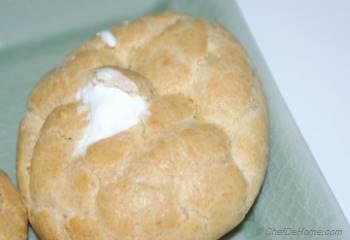 Cream Puffs dough is very similar to Mexican Churus. 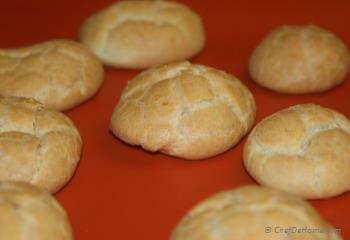 Dough is easy to make too, just be vary of oven temperature, always preheat oven or these puffs will fall flat. 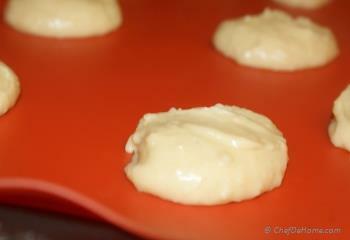 Also, let puffs cool a bit before you fill in the sweet cream. Enjoy!! 2. 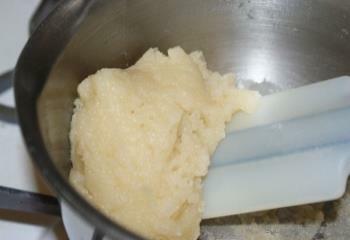 Remove from heat, add milk mixture, stir to combine. 3. 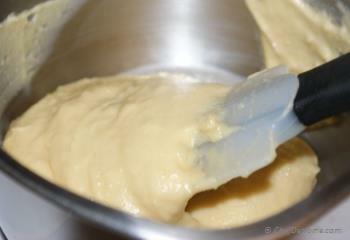 Return back on medium-low heat and continue stirring until the mixture is slightly shiny. 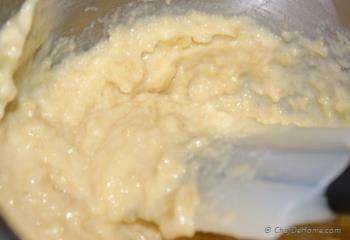 Now add eggs, stir constantly until a smooth, thick, sticky paste forms. 5. Bake for 15 minutes (do not open the oven door during baking). 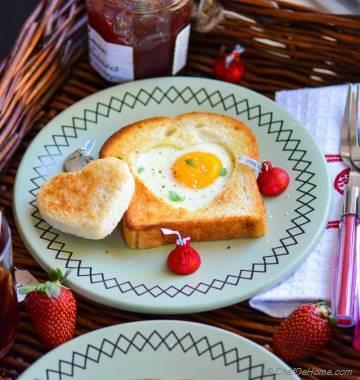 Reduce the oven temperature to 375° F and continue to bake until golden brown and fairly firm, 8-10 minutes more. 6. To fill the puffs, use the tip of a paring knife to make a small cut, creating an X in the side of each puff. Pipe some of the sweetened whipped cream through the X into the side of each puff until it starts to ooze back out. Repeat to fill all the puffs. 7. To make the chocolate glaze, place the half-and-half and chocolate in a medium microwave-safe bowl, cover with plastic wrap, and microwave for 20 seconds at a time, until the mixture just begins to steam. 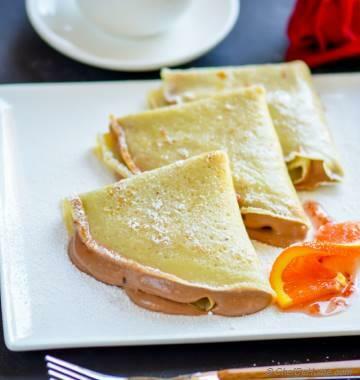 Whisk together thoroughly, add the confectioners sugar and whisk until completely smooth. 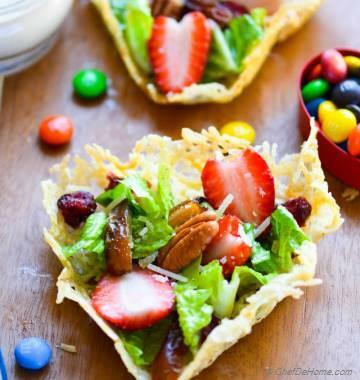 Drizzle a tbsp over each puff and serve. 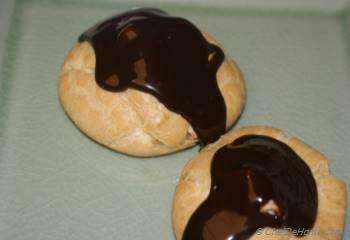 Ingredients are good for 1 dozen Cream Puffs, just double the quantity to make more.